Jack ran slower than all the other children in the class at school. "You’re so slow! You’re slower than a snail!" Alex shouted as he ran past him. "Hurry up, slow poke," Mary said. She pushed her way past him. All the children finished running around the track except for Jack. He was the last, as usual. That afternoon as he walked home, the other children tormented him. Jack felt sad. He couldn’t run any faster than he already did, even though he tried his hardest. He was nearly home when he spotted a snail. He watched it for a while. "You’re slow. I’m not as slow as you are," Jack laughed. He ran the rest of the way home, feeling much better. 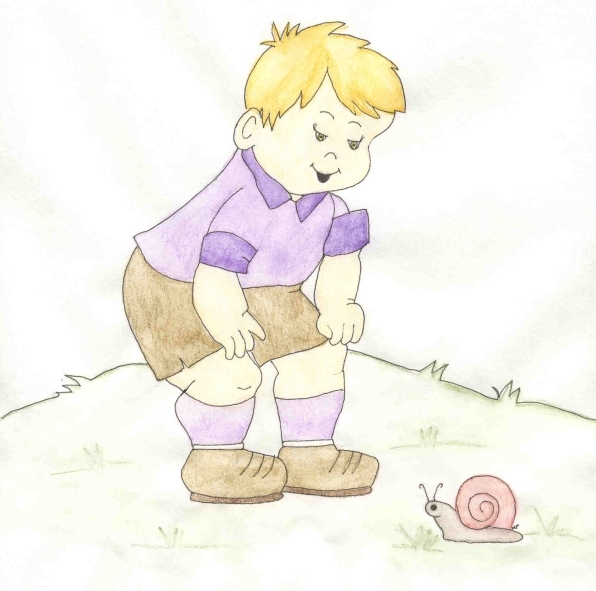 "I may not be a fast runner, but I don’t run as slow as a snail!"